Traveling, one of the best ways to escape reality, and has to have one of the most therapeutic effects on restless, unhappy souls. Traveling has the power to transform you completely, and makes you prioritise yourself and your happiness before anything else. It provides you with an excellent respite from the unending humdrum of your daily lives and provides you an opportunity to evade unnecessary complexities. If you’re planning one such escape from reality into a blissful world of adventure, there is no better place than Singapore for a fulfilling experience. Singapore is an ideal holiday destination for every kind of vacation. 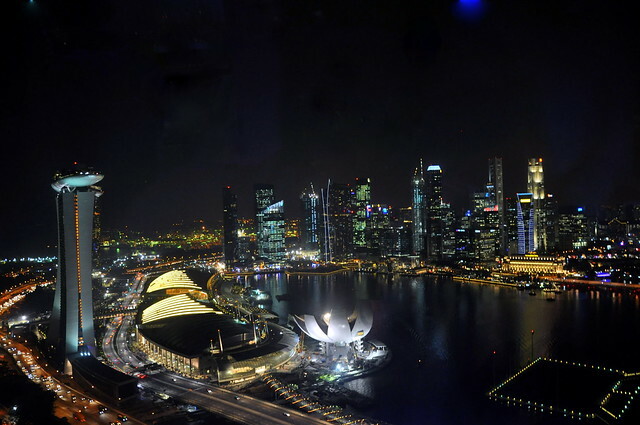 The beautiful Singapore is also known as the Lion City. It would definitely not be an overstatement to say that Singapore epitomises entertainment in every way. Singapore is a complete cultural melting pot with traces of origins from India, Malaysia, China and Indonesia. With a bit of every culture embedded into the Singaporean culture, you can enjoy a rich cultural experience on visiting Singapore. A part of every culture is clearly visible in each aspect of Singapore. Along with the rich cultural experiences, you can also witness exquisite wildlife species in Singapore. A visit to any of the wildlife sanctuaries and zoos can be a fruitful experience. Consider visiting Jurong Bird Park, Pulao Ubin or Sungei Buloh wetland reserves for a closer encounter with the wilder side of Singapore. You can also enjoy a vivid encounter with aquatic life in Singapore, on visiting the Underwater Aquarium in Sentosa Islands. Singapore is thronged by food-lovers all around the world for its multifarious and delicious cuisines. Singaporean food contains traces of every ethnicity, with good food abundantly available almost everywhere in Singapore. Singapore is undoubtedly any foodie’s paradise. There are hawker centers in Singapore which offer excellent delicacies at unbelievably low prices. Make it a point to include exotic dishes like Chilli Crab, grilled Sambhal Stingray, Ayam buah Keluak, Char Kway Teow, Laksa, Rojak, etc. Make it a point to visit the Food Republic Beer Garden to enjoy live music and savor dishes from almost 18 push carts. 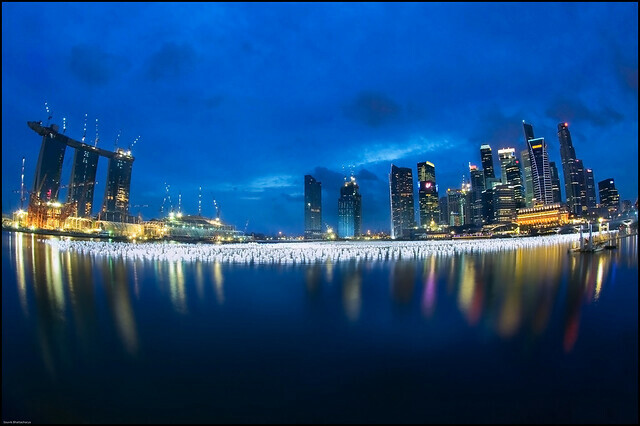 Singapore visas are not too difficult to procure, and a large chunk of the populations constitutes of foreigners possessing Singapore Work Pass. Weekends are mostly busy times for Singaporeans, who party hard after a hard day of work. You can be a part of Singapore’s wild nightlife, by simply visiting the happening party spots there. Make sure you visit Orgo bar and Lab, Zouk Club, Parkview Square, The Wavehouse or the Boat Quay & Clark Quay, for delving into the wild party atmosphere in Singapore. Make sure you visit this lively island and stay in its comfortable island resorts. You can also look out for recreation in the form of shows, concerts, casinos, golf, cable car rides and a lot more. You can also visit the Underwater world aquarium, tiger sky tower and the historical museum there in Sentosa. A visit to Singapore is undoubtedly incomplete without a visit to the Esplanade. It is a complete art hub, which beautifully depicts the Singaporean art and culture. Do not miss out on the most attractive man-made of Singapore. You should definitely enjoy a ride on this Flyer for a ride of a lifetime. You can witness some of the most beautiful and amazing sights on this Flyer along with a comfortable seating. Any car-lover would never miss out on a visit to the Singapore GP. Even if you’re not really a speed junkie and automobile-lover, you will find plenty of excitement in this lovely city to enthrall you for years to come. If this is not enough, consider visiting some of Singapore’s best shopping destinations. These include the Orchard Road, Bugis Street, Chinatown, Little India, Geyland Serai and the Marina Bay. These places entice visitors from all over the world and compel them to keep visiting over and over again.